We would like to say hello and welcome back to current and new parents. The PTA has had a little change around this year and has a new chairman Bego Escorihuela and Volunteer Co-ordinator Helen Pravda. Below are our posters showing the committee members and class reps.
Mr Maestro, Mrs Cornforth and Miss Gates are running the 3 Forts Half Marathon to raise some money for Elm Grove Primary School. The half marathon is a tough, trail challenge but we hope to have a few laughs dragging each other up and down the hills. £10 per person – pay at the school office, with the PTA at school pick up or via https://localgiving.org/appeal/school-for-laughs/ (limited tickets available). This year we are holding an Easter Hat competition. Please bring all your creations to the top playground before school. It will be 50p per entry. Mrs Willard will then choose her favourite and winners will be announced after school at the cake stall. We are looking forward to seeing your creations. We hope to see a lot of you at these events and there is always something you can help with. Should you want to join us and help, please send us an email! 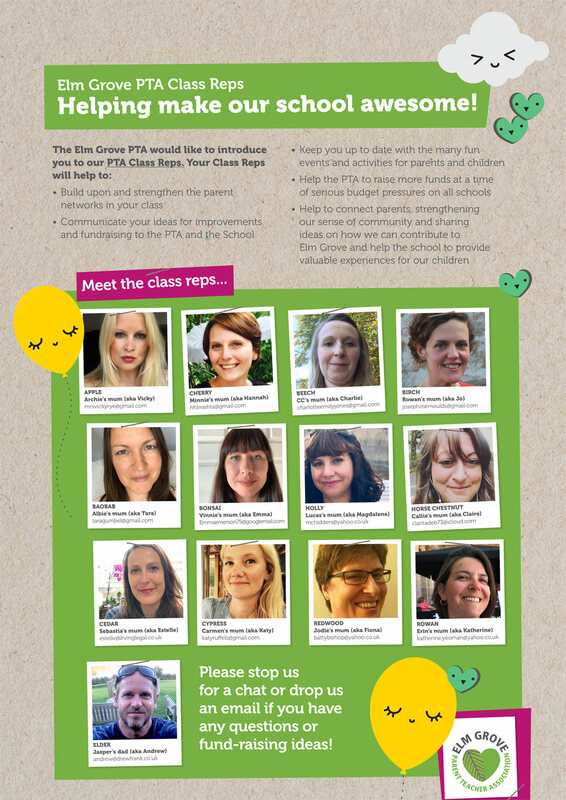 Did you know that the PTA is a registered charity? Individuals, sole-traders and partners who make a donation to charity can claim tax relief. Limited companies who make a donation can reduce the amount of corporation tax they pay by the same amount. Full details of these schemes can be found on the HMRC website at www.gov.uk. If you’re thinking of taking advantage of one of these schemes why not think of us? The money we raise is donated to the school for projects large and small that will benefit our children. Do you shop online? Do it through easyfundraising.org.uk and raise a free donation for Elm Grove Primary School, Brighton every time you shop! Do you have a suggestion for the PTA?